Researching for best free autoresponders that will meet your needs is not an easy task. Read my ListWire reviews before making a decision. My personal experience: 3 out of 5. Building your email list is building your business. Every successful online entrepreneur who’s coaching you’re following will tell you the same thing- building your list is building your business. Being able to reach out to your prospects is essential for your revenue and being able to manage this process is double important. You need an effective email marketing service with an autoresponder to make your list growing and served. There are many email marketing platforms on the market but most of the popular ones will charge you a monthly fee that many marketers could spend on something else. For them the number of free autoresponders is available and the List Wire is one of the most popular. Listwire was founded in 2009 and caused the suspicious attention of many marketers, who would not believe that free service will continue for a long time. Over the time passed Gary Ambrose repeatedly stated that he is not intended to introduce a paid membership option and so far they are sticking to this principle. One of the most useful features they offer is a “Squeeze Frame”, the quite unique system that allows you to incorporate your subscription form into your site without involving HTML or FTP, making it very convenient for non-techie folks. Who is Listwire Autoresponder best for? Basically, the most attention that List wire will catch is from beginners who are not yet convinced, whether it will pay back to invest into one of paid Email Marketing platforms. However, absolutely not every business requires a full- scale system and if the basic autoresponder features are all you need it may serve your purpose for a long time. There may be significant exceptions I will cover in a minute. What’s good about List Wire? There are a few things you definitely don’t want miss while considering Listwire. First, upon their info submission, your subscribers will be presented with a page, presenting LW offers instead of your “Thank You” page. This is absolutely not great from your business perspective, especially if you are in Make Money Online niche. Second, when you sign up for List Wire, you opt- in to receive their marketing emails. That is mandatory, you can’t unsubscribe from it, otherwise, your account will be closed. This is a somewhat annoying addition but at least they will not pest your subscribers. Third, all your subscription and email forms will bear the quite large List Wire logo. You may add your own logo but it will still make an impression. Mandatory opt- in for List Wire marketing emails is annoying ( though not fatal). You just have a few more emails to clean out. List Wire logo attached to all your mail forms makes your business look less independent or “grown- up”. Most of your customers understand that using free services is not a sign of the serious enterprise. Although Export feature is now available, Import is still not. If you have an existing list you will need to enter it manually or make your subscribers to opt-in again. Should you choose List Wire or not? There are plenty of goodies you are going to get. When your business is on the budget you are definitely trying to utilize free services to the maximum. There are very few options on the market for an Email Marketing solution. 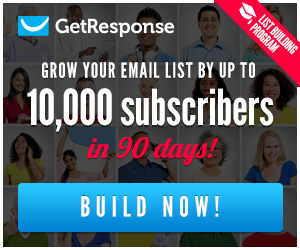 Almost every major email marketing service offers a free trial but it’s only for 30 days max. You can switch between them exporting and importing your list for a while but that means wasting the hell a lot of the time for learning how each new one works- so, it’s a bad option. There is a number of plugins and some programs that will enable you to collect your prospect email addresses and send your messages to them but the level of automation and quality is not coming close to what LW provides. You can find free options even among big players, like MailChimp but it comes with serious limitations. You are limited to 2000 subscribers/ 12000 messages per month and the biggest downside- NO Autoresponder, which means you have to send all your welcome and follow up messages manually. And if you are in Affiliate marketing business- keep in mind, NO affiliate links are permitted. With LW you can expect good and reliable service that is not restricting you in anything. And being in business for more than 6 years they have proven that you may not afraid unwanted surprises from them. But you can’t have only good things. There is nothing in this world you can get really free, except for forces of nature. When you are subscribing for a free online account that only means that your service provider has managed to fund it in some other way (So you always pay at the end, either with your money or that some other way.) Usually, free web accounts serve as promotional platforms for these providers. If you’re really concerned about growing your business you may think twice of letting anyone into the process of your contacts with your customers. Imagine that your office space landlord comes to welcome your new customers in your office instead of you. Weird, right? This is exactly what’s going to happen with your subscribers. Yes, you will show up later to correct the situation, but a few of them may already take your landlord’s offer. The main purpose of email marketing is to establish and maintain YOUR relationship with YOUR customer. By attempting to do it on the platform you are sharing with someone makes it less effective. As always with the Free stuff you must decide what outweighs another- potential savings or potential losses. Being on the budget or just beginning to learn ropes of email marketing ( And, by the way, not to forget folks, who are not planning to make money with it) can make Listwire worth considering. It a great FREE deal. On the other hand, you can’t run a successful business without investing into it. By opting in for the free stuff you give up flexibility and scalability of paid services and this may delay your business growth. I personally believe that $15/ month for beginner subscription for GetResponse or other paid service is worth investing if you’ve seriously decided to make money online. So, to recap my Listwire review- it is worth to be called the best free autoresponder. Yes, I do recommend it if the free account option is the main thing you’re looking for. Otherwise, I would suggest growing your email list side by side with your business with one paid services. Read my Review to compare. I’ve checked out ListWire before and it seemed to be a great deal at first. But the only upside I see is that it’s free. I’ve heard experiences about people getting spammed by the owner with never ending emails. And now I’ve learned from your review that our response emails can be compromised with their logo and even offer?! I don’t think any serious marketer of any kind would be okay with that. I’ll go with a paid service that offers the same options and perks and much more without the shenanigans. Hi, Wing! You’re right- if you’ve seriously decided to nake business online you will be concerned what your prospects and customers opinion about your business is. Surely, you can make money from a small basement office with your landlord’s name on the door but you will definitely get higher customer’s attention if you do it from your own. Having an account with well- established paid services will give you a lot of options you’re missing by going with a free one. Thank you for sharing your opinion with us. I agree, most of the people are switching to the paid autoresponders for the fact that options they provide compared to free platforms outweigh the fee they charge. But in certain situations, like I’ve mentioned above, Listwire may prove to be a sufficient sollution. I find your website very interesting. I read a couple of post in there……they are very informative. The post on how to get traffic on your website free and what is the best autoresponder are very useful. Traffic is very important to every site especially online affiliate marketers who wants to sell products or services. List building is also very important for successful email marketing, I need to find out from you it if is advisable to use free autoresponder or use premium/ pro services for from day one ? I’m glad you find a value you were looking for in my articles. The purpose of this blog is to share my online experience with other marketers and I’ll continue to do my best to provide useful information to my readers. If you’re not completely strapped off cash and you plan to make money with your email marketing campaign I would recommend you to choose one of premium platforms for it. This will save you time on learning when you realize that your business has quickly overgrown the free one. Thanks for sharing. I have been considering getting an email list going. I did place a plugin for mailchimp but did not like that it slowed down my website performance so I unactivated and deleted it. I am searching for another email list and found your post. Something to think about. Thanks for reading my post. Hope I’ll be able to get you some ideas. I personally prefer Getresponse for their integrity, their level of support, responsive design, and the list of options included. Also, they don’t ban affiliate links, like MailChimp does :). You may check my comparison review at http://yoursmartincomesource.com/2016-getresponse-… . But Aweber follows them very close. Hi Kirill, thanks for this review about Listwire. I have never heard of them, so that was exciting news. “Free autoresponder” sounds great at first but I think, in the long run, you will need to invest in a paid version. I don’t like the idea of having a big logo and a welcome message by a third-party in my Newsletters. I have used Madmimi for a while since you can create an account for up to 100 email subscribers. The only thing was that the sign-up form didn’t appear on my site even though I used their plugin. Very annoying. So I have to look at other options. Would you recommend Aweber or rather Getresponse? How much traffic should the website get before it is viable to sign up with a premium platform? I am looking forward to hearing from you. I’m absolutely agree with you that when you’re choosing a free tool you must be ready to sacrifice some functionality. My opinion is that if you’re seriously planning to grow your business you need to invest some funds from the beginning. I really can’t pinpoint the traffic amount you should wait for to built. I may say as soon as your site begins to get some organic traffic it will already be a time to start building your list. Don’t forget- your list will work on further building site’s traffic. I never knew how important it was to create and email list until I stared doing research on my own because how much I was hearing about it. It seems that having and email list is very important because I see this as direct market were you have your list of persons that are interesting in what you are offering and sending them directly what you are offering. Email list is such a powerful tool that can work wonders. Hi, Norman. It’s so true that email list is a must-have asset that any online marketer need to acquire. Building it with one of email marketing programs is the cheapest option, compared to buying it. The Autoresponder feature is one of most important parts of your email marketing tool. When I was well into email marketing, about a year back, I signed up with about 6 free autoresponder services (well they had free options). I combined them to make a powerful system for myself but it was a lot of work…still free mind! Hey, Chris, thank you for sharing your experience! I didn’t notice large numbers of emails disappeared, but I wasn’t really tracking it. You’re right that free programs leave you with limited functionality and a lot of efforts to tune it up. But given some level of expertise and budget in mind, Listwire can become a very usefull tool. I’ve learned my lessons when it comes to using free services online, whether they are website builders or autoresponders. They always come with limitations and that can actually cause you more time and money down the road. Since my blog traffic is picking up, I am actually looking at Campaign Monitor to get a good head start. Their basic plan is $9/month which is quite affordable from my point of view. Hi, Cathy. Thank you for sharing your point. While there’re people who can find free services like Listwire adequate to their needs (like non- profit organizations and bloggers ), other people, who are aiming on making money online would benefit from full- scale services. Campaign Monitor is reputable and reliable service, that fits perfectly with needs of individual blogger.